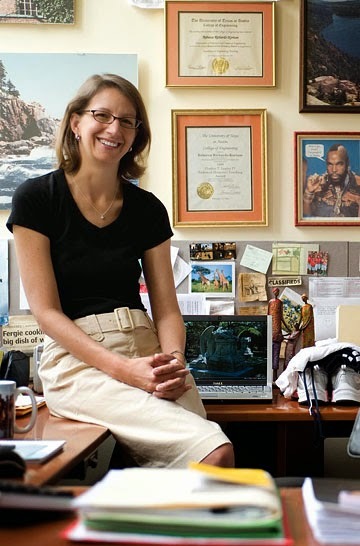 Rebecca Richards-Kortum is Professor of Bioengineering at Rice University. She is the co-founder of Beyond Traditional Borders (BTB), a program which challenges undergraduate students to create affordable technologies for use primarily in Third World countries. Together with her colleague Maria Oden, she was last year awarded the prestigious Lemelson-MIT Prize and they donated the $100,000 check to the hospital in Africa which inspired the BTB program. She lives in Houston with her husband, Philip, and their six children. I'm on the faculty of Bioengineering at Rice University and I focus primarily on two areas. I work on creating technologies for low-resource settings, primarily with a focus on pediatrics, improving child health and improving maternal health. I also have other projects which focus on early cancer screening and diagnosis focusing mainly on cervical cancer, head and neck cancer and esophageal cancer. I've been doing cancer imaging reading my whole career, but it was really in the last seven years that I've come to focus on cancer screening in low-resource settings in developing countries. That means really thinking about how you reduce the cost of screening so that it is affordable for the vast majority of the world at risk from the kind of cancers we deal with so that people can have access to early screening, not just to palliative care when they develop stage four cancer. I originally studied medical physics and then switched to engineering when I got my first faculty job, but they are similar in many ways, math and science, with a design-oriented focus. Biomedical engineering does tend to have more women than, say, mechanical or electrical engineer. When I started teaching electrical engineering, maybe 10% of the students in my cost were women, but now I’m in biomedical engineering, it's closer to 50-50. In Global Health it’s closer to 90% women which on the one hand is wonderful but on the other hand, it pisses me off! Is it really just our problem to deal with poverty and social injustice and making the world a better place? I think we need more balance on both sides. In 2005, I went to Malawi and met a really unbelievable pediatrician, Dr Elizabeth Molyneux, who has been in Malawi her whole career. She was the one who really inspired me to think about how we could get undergraduate students to look at new at ways to address needs in the hospital nursery, especially for premature babies. From that meeting, my partner Maria Oden and I created Beyond Traditional Borders, which is a minor in Global Health Technologies where we bring students from all over campus – humanities and social sciences as well as engineering and science – and we give them real design challenges. They start with an introductory eight-week design project and then a one-semester project and then a whole year. After each of those projects they have the opportunity to apply for a summer internship where they take the thing that they have created to the place which had originally proposed the challenge for them to solve. During these internships, they get wonderful feedback and although most of the time it's “You need to change this many things before it's useful to us”, for the students it's incredibly motivating. They get to go and experience first-hand the real challenges that they've only learned about it in a classroom setting. When they come back, they are so motivated they will often do independent study work to further their technology to get it to the point where it actually can be used clinically. For example, premature babies often have breathing difficulties. Here in Houston, it would easily be treated with technology called CPAP – continuous positive air pressure. It’s very simple, if you think of a baby's lungs as a balloon. In our lungs we have surfactant which helps the balloon of our lungs stay inflated but with premature babies they lack surfactant so when they breathe the lungs collapse. Every breath for them is like that first puff into a balloon and they get exhausted just by breathing. With CPAP, you just put little silicone rubber prongs into the baby’s nose and the machine blows in a mix of air and oxygen so that when the baby breathes, instead of the balloon collapsing, it stays open and the hard work of breathing is greatly reduced. 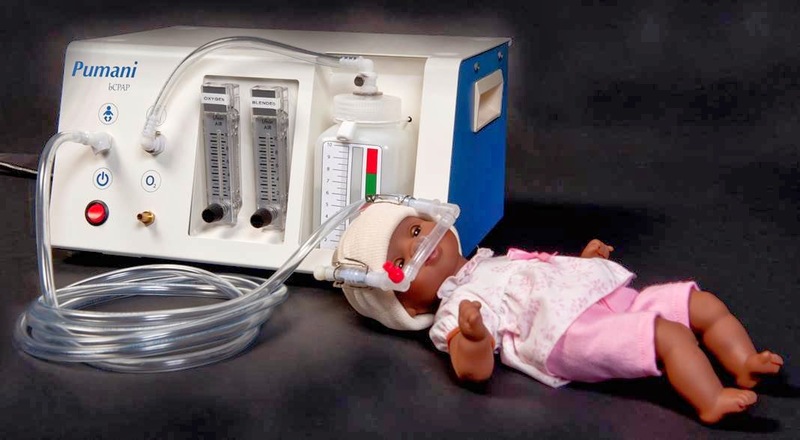 For most premature babies, if they are on CPAP for a week or two they develop surfactant and are fine, but if they don't have access to a CPAP machine, the mortality rate is as high as 75%. The challenge that Dr Molyneux gave us was to develop an affordable CPAP machine. Here in the US, the cheapest CPAP machine will cost you around $6,000 which might well have been $6 million for her in Malawi because it was just not affordable. In response to this problem, our 2010 team of students developed a prototype which delivered airflow and pressure comparable to the one they use at Texas Children's Hospital. But our machine was made with fish aquarium pumps and cost only $150! Since then we have been able to prove that it does improve survival. Mortality rates went from 75% down to 35%, which is comparable to the rates in the United States when CPAP was first introduced. Now we are working to roll it out across the whole country and I am working to put together a complementary package of technologies that will do all the things that babies need – keeping them warm and hydrated, keeping their glucose levels where they need to be and, if they have jaundice, treating them with phototherapy. When we have a project we think will be successful, we make the first few prototypes in our lab so it can be taken for clinical evaluation. We work with colleagues at a wonderful industrial design firm called 3rd Stone Design who have helped us find appropriate manufacturing partners to bring the CPAP device to market. We are also in very early conversations with some multinational corporations that have the capability to undertake the international distribution we would really need. So we are not there yet, but I feel that we are on a really positive path to get to the point where it could be more widely available. We also just received from grant from Glaxo Smith Kline and Save the Children which will allow us to expand to Tanzania, Zambia and South Africa, so we are super excited by that. 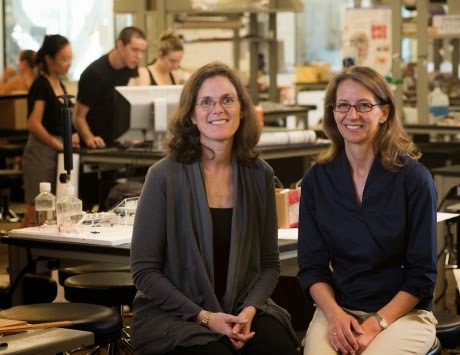 Last year, Maria Oden and I were honored to receive the Lemelson-MIT Prize for our work with Beyond Traditional Boundaries. Even more wonderful was that it came with the prize of $100,000 and we were able to donate that money to the Central Hospital in Malawi, the hospital which inspired our program and the CPAP project. 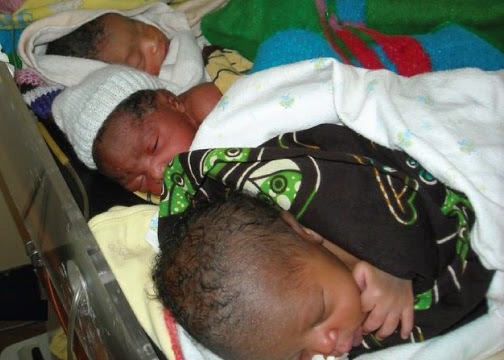 When you go to the ward, there aren't enough beds for the babies so it is not uncommon to find sixty babies in twenty beds. There’s also not enough space for moms so they can't be with their babies all the time and that's not good for the moms or for the babies. We have been able to raise another $275,000 in additional donations which will allow them to expand the nursery which is very exciting. We have the architectural plans and they will be breaking ground as soon as rainy season is done. If everything goes according to schedule, it will be completed in December 2014. That's going to be a happy day - walking in see that! And of course, the new nursery will have our CPAP machines and hopefully many other technologies which will be created through our program. What is your Houston story? I grew up in Nebraska and went to the University of Nebraska, and then I went to MIT for graduate school and from there I went to University of Texas in Austin where I was on the faculty of electrical-engineering and also biomedical engineering. I had been there about 16 years when I moved to Rice in Houston in 2005. The main reason to move was that there was no medical school in Austin, at least there wasn't then. For people like me who do the kind of translational research in which you are doing clinical evaluations of technologies, it’s really difficult without a medical school so we would be driving to Houston every week. When a job opened up at Rice, it seemed like an amazing opportunity. At home I have six kids from aged twenty-two down to aged four. I have three boys and three girls. Alex and Max are both at college, one at Rice and one at the University of Houston. They're both studying engineering which is wonderful and makes me so happy! Then Zach is in high school and he wants to do either architecture or civil engineering. Kate is in middle school, Elizabeth is in second grade and finally, Margaret is in pre-school. We adopted Elizabeth and Margaret from Ethiopia. Margaret has been with us since 2010 when she was six months old and Elizabeth was about to turn seven when she came to us in 2012. I love being a mom, it's just an amazing experience and when you travel in Africa you see a lot of kids that don't have parents and who are living in orphanages. We felt that we had more room in our family so we looked at the various adoption programs and decided that at that time Ethiopia was really the only program in Africa that we felt was an ethical program. Maggie was only a baby and therefore had a very easy transition, but when Elizabeth arrived with us, she had perhaps only twenty words of English. She is so brave though and it's really amazing to think of all the uncertainty that she's been through. She was born in an area of Ethiopia where they speak Wollayta and when she came into care she was placed in an orphanage in Addis Ababa where they speak Amharic. She was only about four at that time and there was only one other little girl who spoke the same language as she did. Then she came home with us and had to learn yet another completely new language. Adopting an older child is a very challenging but wonderful experience and it's very different from adopting an infant. I thought I knew that going in, but really I didn't really know it at all! Much as you try to be prepared, you can't really know how challenging, but also how great, it can be. I think Elizabeth is not yet fully settled but she has made so much progress. The difference for her between starting first grade and starting second grade was enormous. She's absorbing English day to day, but we have hired wonderful Rice student teachers who come and work with her on her homework every day after school. They are just amazing with her and they have energy at that time of day that I definitely do not have! Because of the work I do, I have to spend lot of time out in the field with the student interns, looking for new challenges and checking that they're doing the right thing as far as getting feedback on their implementation. So I usually have to do four trips abroad each year – to Africa to see them but also to meet with those in China involved in our cervical cancer project and in India with our esophageal cancer project. So I do end up with too many frequent flyer miles – that's such a badge of shame, right? So I’m lucky to have beside me my husband Philip, who is awesome. He's also at Rice in the faculty of Psychology. We actually met living in the dorm in our freshman year in Nebraska. I lived on the second floor and he lived on the third floor so I've known him since I was 17. As our careers progressed, Philip and I have made decisions together as much as possible. When we moved to Austin, he had the opportunity to go back and get his PhD which he really wanted to do and then he got his dream job in Austin so it worked out pretty well. Then when we came here, he moved from industry into the academic job at Rice. Definitely it's my kids. Because so much of what I do is focused on trying to help moms have the opportunity to bring their kids home, and anybody who has had a baby knows how much you worry, being a mom myself has definitely influenced the projects that I've chosen. What advice would you give to someone new to your field? I think the most important career advice is to think about where you find meaning. If you are going to work hard, you want to work hard at something that you find meaningful. Worry less about what ladder you want to climb and just try to figure where something you find meaningful can intersect with career opportunities. That's the eternal challenge, no? Well, we take it a day at the time. The hardest thing about having six kids is making sure that they get enough one-on-one time with you. Somebody is always having a crisis, so you have to make sure that you're not getting so absorbed in that crisis that other people are either being neglected or feeling neglected. Even with the two older boys at college, you know they never really leave you! That's a big myth, I think, but it's great that they still need you and want your help. What time do I get for me? I get up early and that's my time. I like to run and so I do that in the morning. I can't stay up late but I can get up early. What really drew me to Houston professionally was the Medical Center and the opportunity to work with physicians that are providing patient care and are also trying to bring the next set of advances in patient care. On a personal level, although Houston is the fourth largest city in the US, where we live feels much more like a small community. We really love it here. My happy place has to be looking at an empty email in-box. Some days I think all I do is answer email. My favorite place to eat in Houston has to be the taco truck beside the Alabama Ice House – it has the best tacos in Houston! It might look a little sketchy but it's very good. I think Houston's best kept secrets are the public schools. They are awesome. There are many very talented teachers, especially in the magnet schools and high schools. We have had two kids at DeBakey High School, and one at the High School for the Performing and Visual arts and both schools offer really great experiences. Mr. Smith, who was until this year the band director at Pershing Middle School, was an amazing resource and of course Mark Twain Elementary is really an extraordinary school. I would make it Austin – but without the cedar! I do miss the beauty of Austin. Houston is pretty in its own way, but it's not as pretty as Austin.